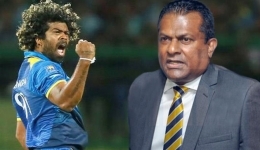 Minister Vajira Abeywardena has faced trouble when making seating arrangements at the Independence Day national ceremony at Galle Face, Colombo, as his cabinet colleague, Field Marshal Sarath Fonseka, had threatened a boycott if not given a front row seat. The home affairs ministry is in charge of such arrangements at state festivals, and there is a procedure and tradition to follow for that. According to the protocol, the order is the president, prime minister, speaker, opposition leader, chief justice, cabinet ministers and so on, and Fonseka should have had the 52nd seat in the back of the rostrum. Getting to know about that, Fonseka complained to the president and asked that he and his wife be given seats in the front, noting that protocol should treat him, a field marshal, above ministers. The president and the PM mediated and minister Abeywardena had to arrange seats in the front for the Fonseka couple. Ironically, Fonseka has kept one of his bodyguards at the venue until the commencement of the ceremony to see if any change was made in the seating arrangements. This is not the first time that Fonseka has demanded priority in seating arrangements. He boycotted ‘Nila Mehewara’ functions in Galle and Polonnaruwa as he was not given a seat near the president, and also demanded a seat in the front at the funeral of Ven. Maduluwawe Sobhitha Thera.